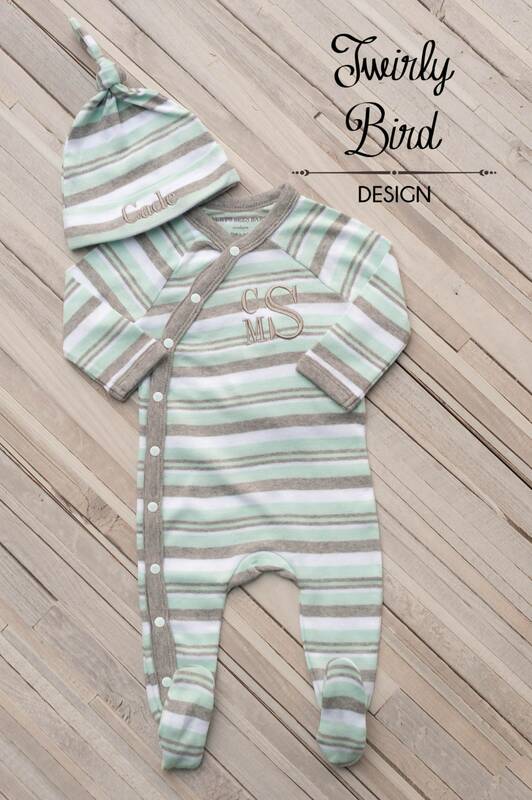 Incredibly soft and extremely adorable, this kimono style coverall makes for an ideal bringing home baby ensemble. 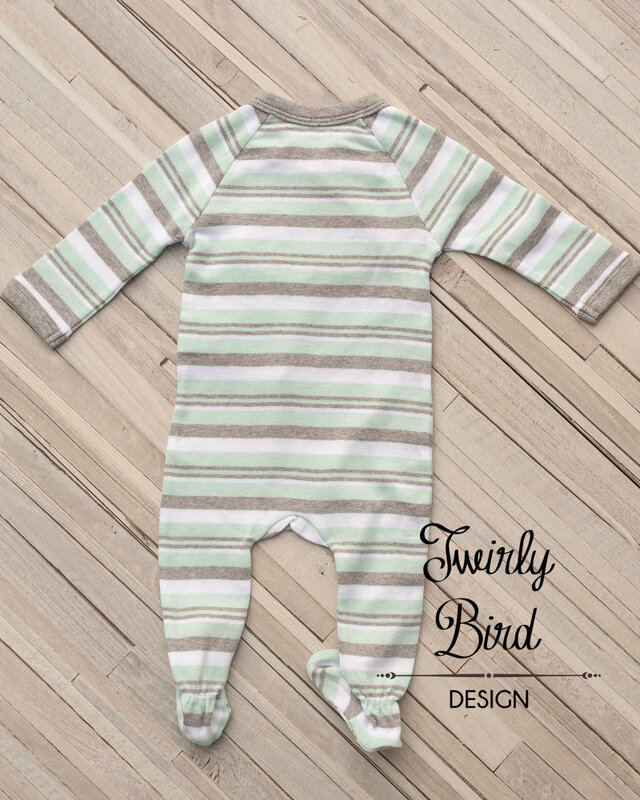 Easy to put on, effortless for diaper changes, and unique and soft striped organic cotton fabric make the outfit quite the commodity. This footed pajama outfit has snaps from the foot all the way up the side. 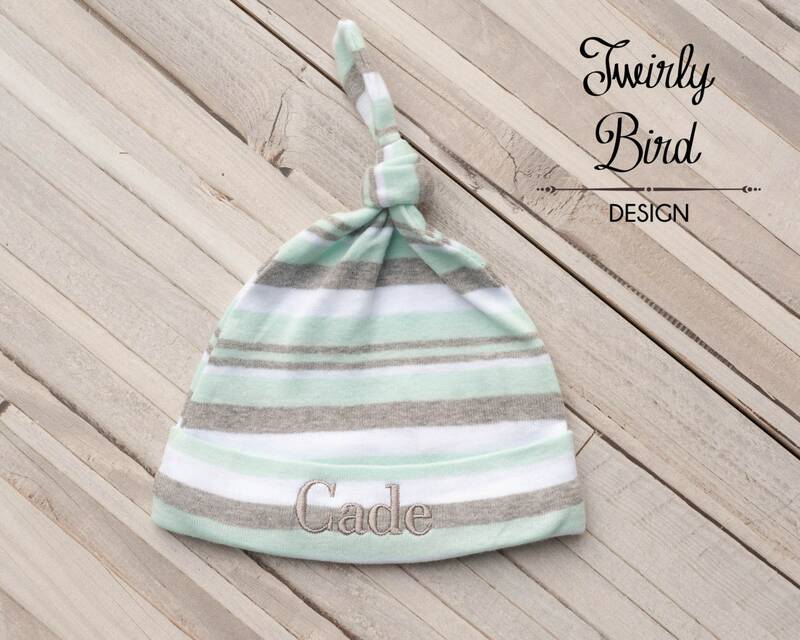 Its darling knotted hat will make your baby feel safe and secure, while looking like a little angle. 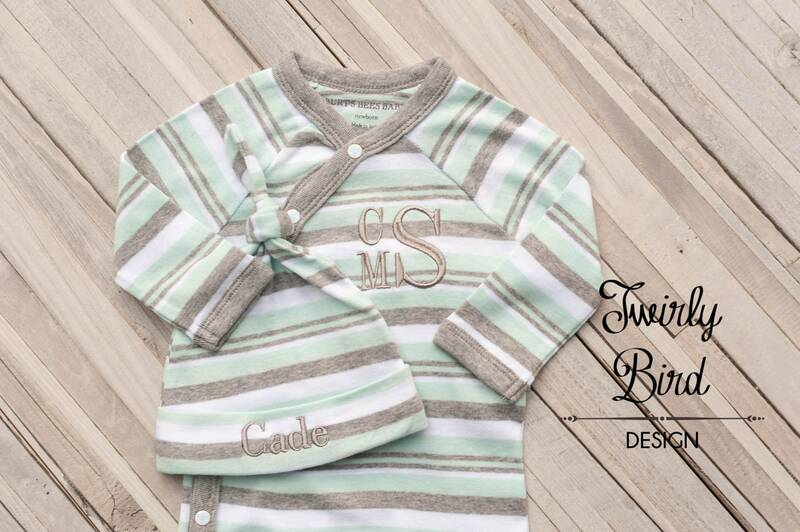 Embroidered personalization will make for a great photo opportunity and keepsake. 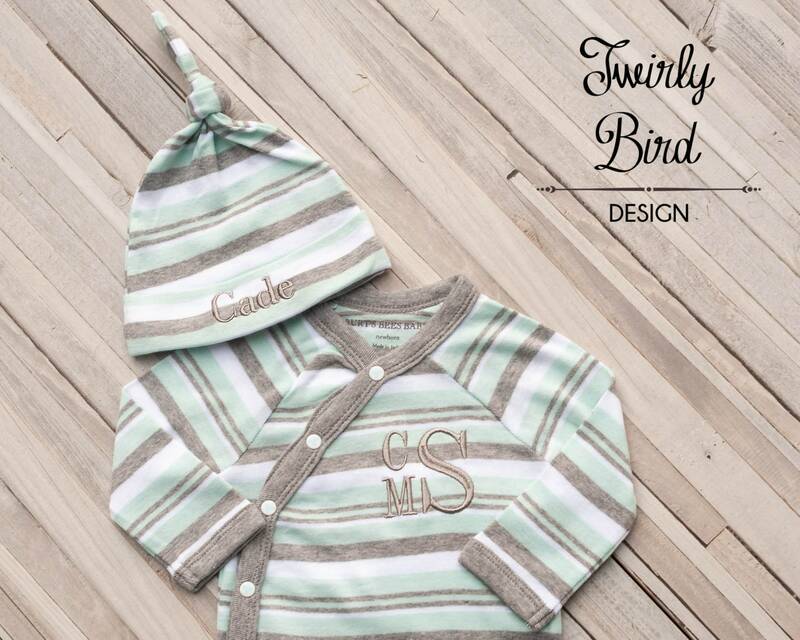 Choose from a size ranging from newborn up to eighteen months. •	Kimono style opening snaps open completely down to ankle. 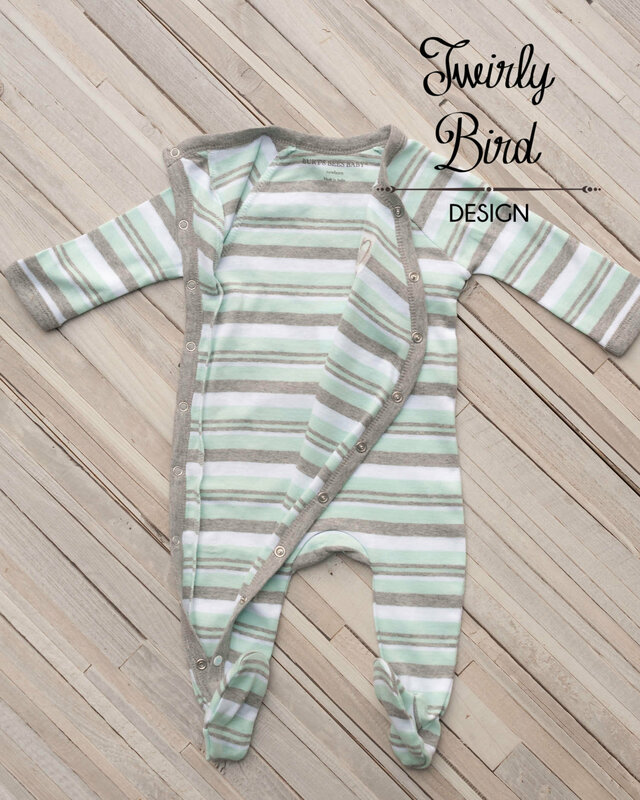 •	Footed pajamas keep baby's toes warm. 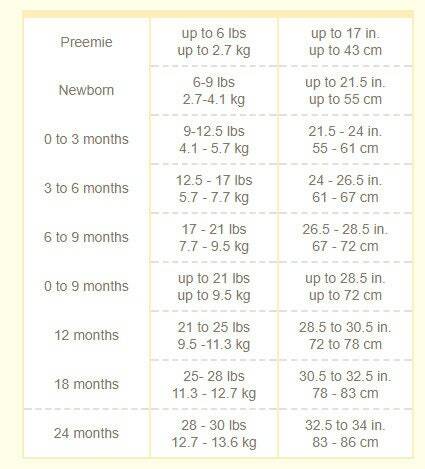 No more looking for lost baby socks! What is the turnaround time? Is there a rush option? •	When you check out you will be asked to select USPS Priority or First-Class. USPS Priority is 1-3 days, First-class is 3-5 business days. Please wash all your embroidered and handmade items in cold water and tumble dry low. 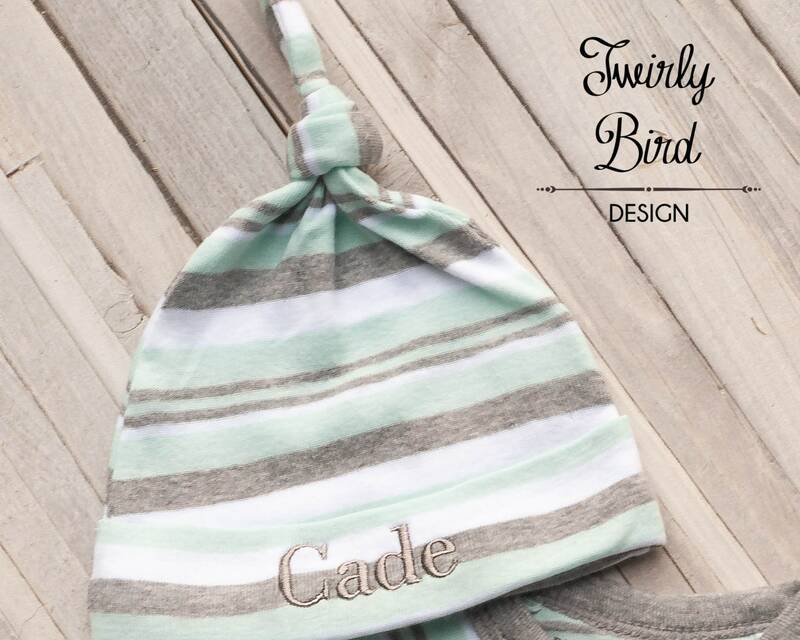 You can put a thin towel over the embroidery and warm iron to remove wrinkles.